To disable the startup splash screen in Windows 7, you need to use the System Configuration dialog box. Use the following steps to open the System Configuration dialog box. 4 – Click on Administrative Tools. 5 – Double click on System Configuration. 6 – Click on the Boot tab. These check boxes help you configure how your Operating System behaves during it’s initial start up process. 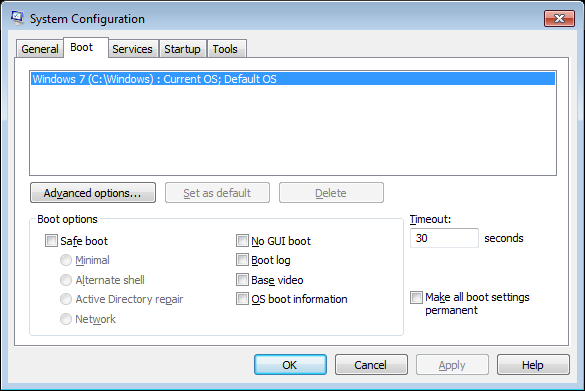 From the Boot tab on the System Configuration Screen, enable the check box called No GUI Boot under the Boot options section. Then click the Apply button to save the changes. You will then be prompted to restart your PC to apply the changes.